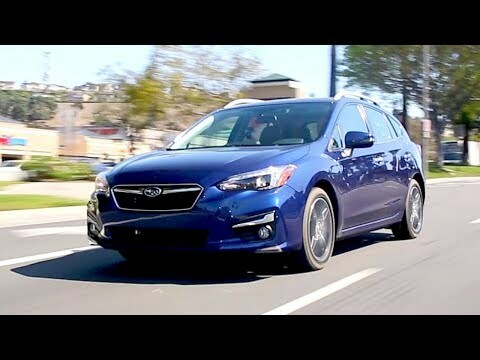 The 2017 Subaru Impreza is as all-new as a car can be, but it's still all-Subaru. All-wheel drive is standard, there's the traditional flat configuration of the engine with its accompanying exhaust note, and the sporty handling. But it's all better than ever, with refinement and technology that were lacking in the old car. Eyesight has been the best thing ever. There is not one thing I dislike about my Subaru Impreza. I have 3 children and we all fit comfortably. The eye sight is amazing and should be a feature on all vehicles. I have a long commute to get kids from school and the back warmers always help my back from aching. I am able to text without being distracted and looking down at my phone. For being a hatchback there is plenty of room for grocery shopping with ease. Gas mileage is great. I get almost thirty miles per gallon. And to fill up my tank is less than 40 bucks. All of the features of the car are great and Subaru is the number one safest car. 2017 Subaru Impreza - excellent safety features, short on storage space. This car does not have as much storage as I would like. In addition, I had a remote start installed when I purchased it, and it has never worked properly. I have had it repaired 3 times - an issue with the hood switch. The third time was just this last week, and they replaced, rather than adjusted the switch. So far, it appears to be working. Other than this, I think the car is good looking, has some outstanding safety features and gets decent gas mileage. Great car but beware of wind. I have had the car since February 2017 and haven't had any mechanical problems with it at all, it drives smoothly and gets about 25 mpg on roads and around 30 on highways. Only issue I have ever had with it is it is noticeably pushed by the wind at high speeds, whereas my old 2001 forester would not have been impacted at all. You have to adjust to the wind or it can push you out of the lane.